Confidential transcriptions for your surveillance recordings are now within the reach. Get custom, high-accuracy transcripts to improve your bottom-line. Are you in need of robust surveillance recordings transcription services to document audio and video surveillance? Are you lacking an efficient surveyance strategy due to inefficient surveillance recording transcription? Today, countries across the world are growing up to the challenge of increasingly complex surveillance strategies. Surveillance is extremely important, especially to capture interviews and meetings to make progress with the investigation. Be it law-enforcement, legal, real-estate, or education field, you will require surveillance recordings transcription services to further your investigation or criminal proceedings. O2I's surveillance recordings transcription services can transcribe surveillance footage with a very high level of quality and accuracy. Our transcripts can directly help you cover more ground in investigations. All that while ensuring no time is lost during proceedings. Police surveillance tapes are extremely important during criminal investigations and are a requirement during court proceedings. The surveillance tapes could range from holding cell meetings to lawyer meetings and need to be expertly transcribed in order to catch every word of the discussion. Our services are ideal for this requirement and are delivered with exceptional confidentiality. Insurance officers usually need to check surveillance footage in cases of car theft, property loss, etc., and require transcripts to set the scene of occurrence and decide whether there is any insurance fraud being committed or not. Transcripts for insurance investigations need to be cleaned thoroughly and checked for relevance, since often such surveillance footage may contain hours of unnecessary conversations. Court hearings, jury meetings, witness hearings, etc. are important day-to-day activities especially for people working in law enforcement or legal firms. Recording them via legal surveillance allows you to go over the footage later to find any discrepancies or file as part of the procedurals. 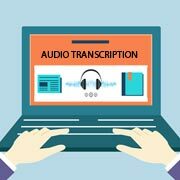 Our transcription services are ideal for this requirement and are delivered with complete confidentiality while ensuring you receive the transcripts within a short time. Surveillance footage is of extreme importance in case of internal investigations when the statements made by a person need to be captured and presented in case of any extraneous requirements. 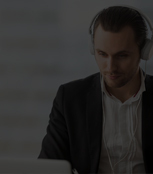 Outsourcing surveillance recordings transcription services to O2I ensures you always have a database consisting of high-value transcripts for such internal investigations, collated and marked for easy retrieval. 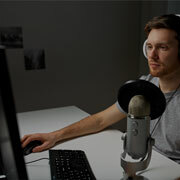 Whether you want to transcribe audio files recorded as part of an ongoing police investigation, a classroom seminar, or an important meeting between high profile clients, by default, the audio files come with a lot of background noise. We can not only filter out the audio clutter but also put across hundreds or even thousands of hours of audio information in a concise way so that it is easily accessible by you. The same holds true for our video surveillance transcription as well, as we carefully transcribe only what is required by you with the correct reference points to enable quick, actionable material. All our transcriptions are performed by experienced transcriptionists without using any software or scripts which result in poor quality content. Verbatim transcription methods which we have perfected over the years ensure complete accuracy and are admissible in courts. If during the transcription, there were any incomprehensible parts, we mark them as such for easy follow-up. If required, we also provide notes along with the transcription so you can get to the part you most require easily. Time stamping of documentation and transcripts allows us to time code reference points making it easy to refer the documents whenever you want. Time stamping helps you ensure that when being viewed by a third party such as opposition lawyer or judge, they can find the relevant content easily as well. Along with transcripts, we can also provide guidance notes for you to easily navigate the entire transcript. If required, our team of expert transcriptionists can also insert citations based upon your instructions. Our full range of note-taking functionality also covers any special requirement that you may have and will be covered by our SLAs. Quite often, our clients have certain stringent requirements when it comes to the presentation of the transcription and has their own templates. We can work with your templates, or if so required, create custom ones for you to use as well. Why Outsource Surveillance Recordings Transcription Services to O2I? Performing your transcription requirements in-house is a waste of time and skills, as your employees can perform other tasks which require their skillsets more. By outsourcing the transcription of surveillance recordings to us, you can focus on the most important tasks to grow your business. From signing legally-binding NDAs to using the most secure infrastructure with multiple redundancies, we ensure your surveillance records are always converted into transcripts while keeping their confidentiality in mind. All records are deleted once the project is handed-over as well such that they can never be recovered again. At O2I, we hold our quality control and accuracy standards as being the most important tenet to our working process. All our processes have been fine-tuned over the years so as to ensure the highest possible quality for your transcriptions, going above 99.5% in most of the cases. Our streamlined processes and our ability to work out of multiple locations means we can deliver projects faster than most other companies out there, without sacrificing the quality standards we have set for ourselves. The surveillance transcription services are scalable. There you will have options to choose the right service that fits your needs depending on your business volume. When you outsource your surveillance transcription services to us, you do not have to pay extra fixed salaries and save up on office space and relevant infrastructure you would need to spend on an employee. Keeping in-house transcriptionists also puts you at risk of not being able to scale down easily when the volume of work is low while keeping people on the payroll. By choosing us as your outsourcing partner, you can save such costs and focus on your bottom-line. Each project has a dedicated team assigned to it, and for longer projects, we have a full-time project manager who ensures all your requirements are met with, and all changes requested are taken up in as short a time as possible. One of the perks of working with us is that you gain access to our significantly talented staff who are exceptionally talented in the field of transcription. We have teams of transcriptionists working on multiple client projects, and each of them has been vetted by the client's multiple times over. We are never lagging in technology adaptation. We use the latest technology and superior infrastructure be it hardware, software, or security systems. Therefore, our team is given access to the best infrastructure for the smooth completion of the project. Data is shared via SFTP and VPN for ensuring safety during the transmission. This is where our clients feel the confidence in trusting us and we are sure you would too. The team at O2I works round-the-clock to deliver excellent service levels. Our teams work on a rotational basis to bring you updates, support, and much more without putting you through stress and wait. Audio recordings that spanned 9 hours were transcribed by O2I for a US client with a 95% accuracy. The client's objectives were met within 72 hours. 42 hours was the time taken by O2I to carry out audio transcriptions with a play time of 9 hours. The client felt satisfied and assured to repeat their order in the future. Outsourcing the transcription for surveillance records means you need to do your groundwork well and work only with a transcription service provider with a proven track record. At O2I, we offer a host of comprehensive business transcription services which have worked wonders for our clients across the globe. The team at our delivery centers possess the domain level knowledge and exposure to transcription projects of various complexities. Get the best price-performance benefit by outsourcing your needs to a skilled professional like us. Contact us our expert transcriptionists today to know more about our full range of services.